Sell Your Car or Truck Instantly! Trucks. Cars. Suvs. Vans. Motorcycles. Running or Not. Any Motor Vehicle. Any Condition. Wrecked & Junk Cars Ok. If you’re wondering ‘where can I sell my car in The Colony today’? You just found the solution. 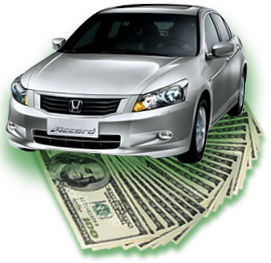 We buy cars in any condition for cash and fast. Usually within 1 hour of your call to us, you’ll have money in hand. Any make or model of car, truck, suv, van, motorcycle, or motor vehicle is ok.
New cars, used cars, wrecked cars, junk cars, we buy them all, and in ANY condition. Still have a payoff? Don’t have a title? No problem. We still can and will buy your car. We Pay Top Dollar. Contact ustoday. Get a FREE quote! No hassle, no obligation. by comparing the wholesale market value to your vehicles overall condition. and give you a written offer and pay you cash on the spot. Read customer testimonials. .6);}Click For A Cash Quote Now! SellYourCarDFW.com pays the most cash for cars The Colony. Sell your car fast for cash. We buy cars The Colony on the spot and pay top dollar. New, used, wrecked, junk cars, payoff, no title ok. (214) 796-3312. Cars, Trucks, Suvs, Vans, Motorcycles. Any Motor Vehicle. Any Condition. The process was so easy! I called Sell Your Car DFW and they came out within an hour to give me an on-site quote. My car was no longer running so they had it towed from my driveway. I got cash on the spot and also got my car out of the way. The guys at SYCDFW are very helpful and made this transaction smooth with no issues. I got paid and I am going to use the money towards a new car. I have told several of my family members to use these guys if they have a car or truck that they want to sell. No hassle. I filled out the online form and got a call back with a quick quote in about half an hour. They guys came out the same day and picked my car up. Got the money they quoted me over the phone. I did not imagine it would be this easy but it was for sure. Thanks!